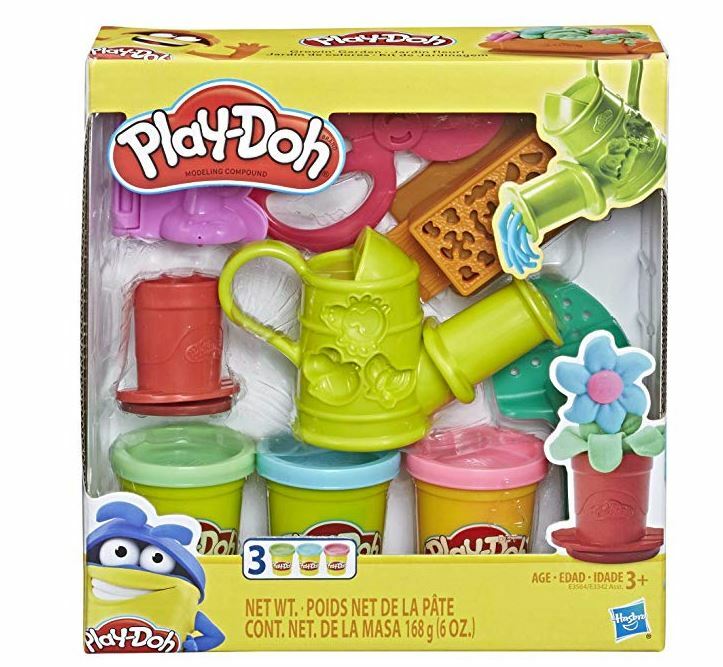 Today only, you can get this Play-Doh Growin’ Garden Toy Gardening Tools Set for just $6.99! This would be a fun addition to Easter Baskets! With the flowerpot and gardening box, this Play-Doh set lets budding gardeners sprout colorful flowers and plants. Create more dimensional blossoms with the book-mold and give the flowers a shower by putting Play-Doh compound in the watering can. Kids can really feel like gardeners with the spade and Play-Doh scissors that look like shears. Sit the flowers right on top of the Play-Doh cans and create an adorably photo-worthy Play-Doh garden! This creative toy comes with 3 different colors of non-toxic Play-Doh compound in 2-ounce cans, and it makes a great rainy day activity or inexpensive gift for kids.